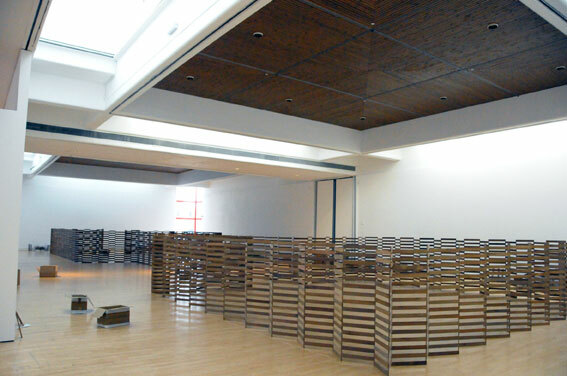 Site specific installation designed around the existing artchitectural features of the Mead gallery. 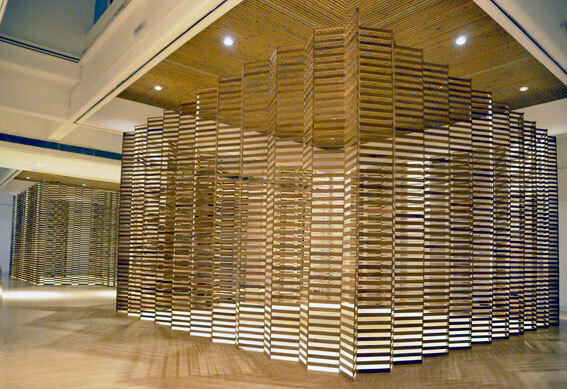 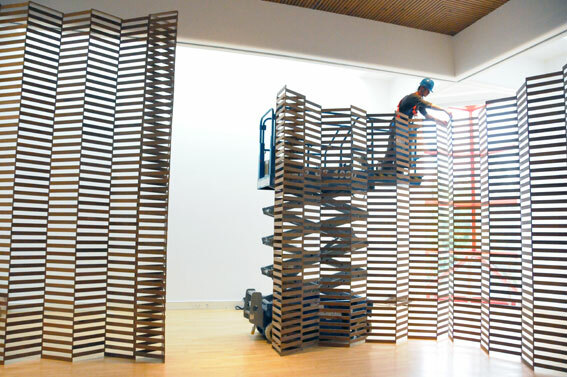 The work consists of approximately 9400 units of wood stacked balanced to create two cubic chambers with a connecting corridoor. 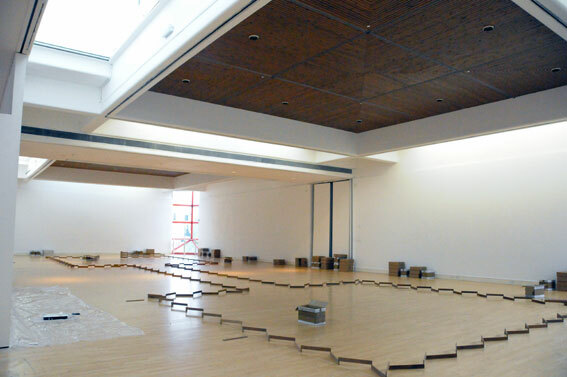 The work was created over 9 days with time lapse documentation of the process. 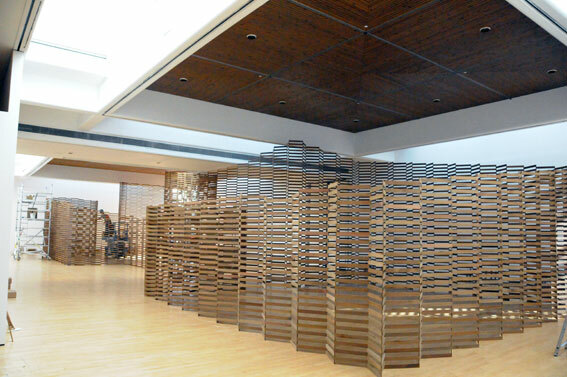 The exhibition was accompanied by video documentation of previous projects.